Prestige Falcon City: The homes with a “WOW” factor! 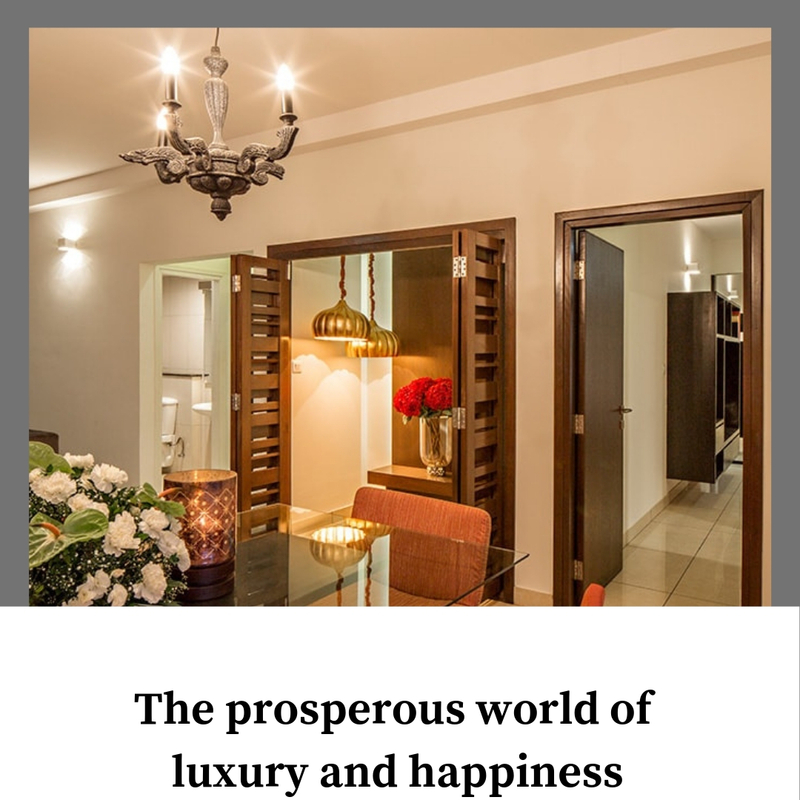 For those who want to experience a high-class living loaded with luxury features, all at affordable rates in the highly cosmopolitan city of Bangalore, then, we welcome you to one of the best residential developments coming up in South Bangalore! 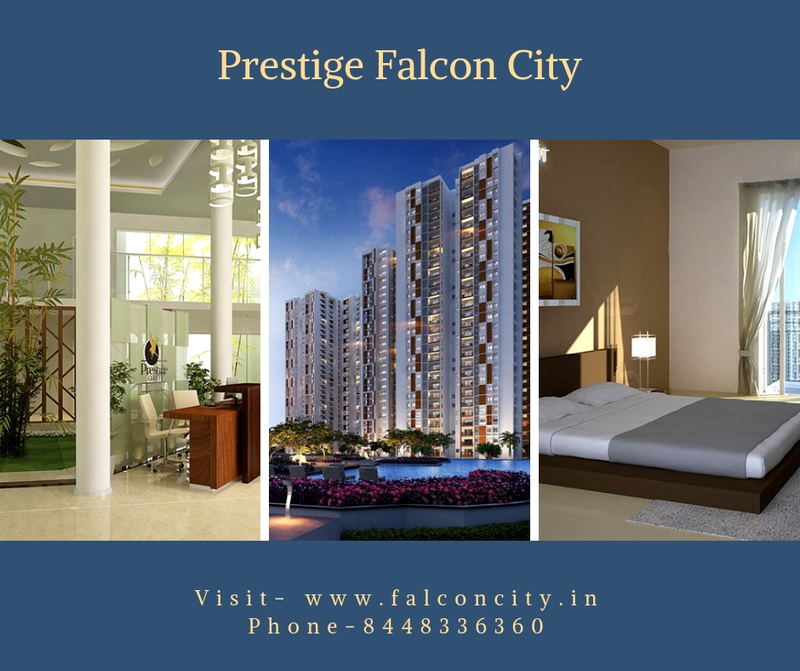 Prestige Falcon City is a top-notch residential venture launched by the distinguished Prestige Group, coming up at Kanakapura Road, Bangalore. The building has an RCC framed structure with RCC shear wall and the apartments have smartest and high-quality interiors like vitrified tiled flooring, chrome plated fittings, textured paints on walls, Kota stone on staircases and sliding/openable high-quality doors and windows. 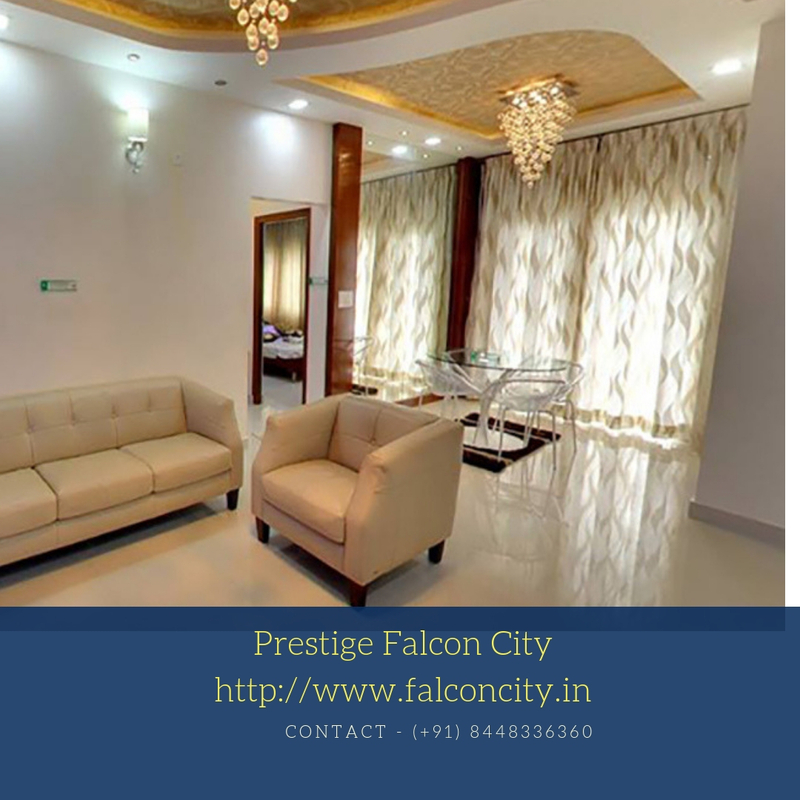 The awe-inspiring property Prestige Falcon City Bangalore has developed across a humongous 62 acres of land parcels and houses both residential and commercial segments. Phase 1 of the residential section comprises of 41 acres of gorgeous development that offers 2, 2.5, 3 and 4 BHK residential abodes covering 1204 sq. ft. – 2726 sq. ft. areas. The 2520 skillfully built residences are spread across 7 buildings comprising of 20 towers which are 31 floors tall. The homes are Vaastu-compliant and surrounded by 70% open spaces that enhance the beauty of the campus and offers lavish living experience swaddled in natural environment. The commercial section comprises of huge retail area and largest Forum Mall in the city, all conceived and developed by Prestige. Prestige Falcon City Price is quiet reasonable. The high-end homes are conveniently priced starting from Rs 81.27 lakhs, with the upper price being Rs 1.84 crores depending upon the size and location of the unit chosen. Prestige Falcon City Kanakapura Road is stashed with state-of-art amenities that include kids’ play area, library, yoga hall, massive cultural and convention center, swimming pool, gym, meditation center, car parking, multi-purpose hall, water, and power back-up, ramps for differently abled and multiple sports facility. A 60,000 sq. ft. a gigantic clubhouse is being developed within the campus that will boast of best-in-class fitness and relaxation amenities. All the features are of global standards that offer an unparalleled living experience like water cascade, herbal garden, palm court square, butterfly garden, lap pool, aromatic floral garden, reflexology garden etc. This property in Bangalore is being developed at the most preferred residential location of Kanakapura Road, Bangalore. The announcement of SEZ, construction of metro, development of NICE Road, and proposed 4D Krishna Lila entertainment park has made this area a premium desirable address of the city. Several reputed educational institutions, banks, hospitals, restaurants, etc. lie in close vicinity. It is 11 km away from MG Road. Established in 1986, The Prestige Group is one of the leading realty players which has to its credit several landmark residential, commercial and retail developments. Highly reputed and well-trusted, the Group lives up to the expectations of the people of delivering something new, innovative and of the best quality. The project Falcon City is another prestigious project of the company that is an architectural marvel in a true sense. This property in Kanakapura Road has received several rewards and accolades like ‘The Highly Commendable Interior Design Apartments” at the Asia Pacific International Property Awards 2015. 1 Lacs Sq.ft. of Commercial Area. Kitchen - Ceramic/Vitrified tiled flooring. Located at Kanakpura Road, Bangalore.